The housebuilding arm of the business, with over 20 years’ experience of building homes that have high quality design and workmanship at their core. Dorchester Living is committed to building high quality, bespoke schemes with a particular emphasis on building quality at pace across all tenures of housing. 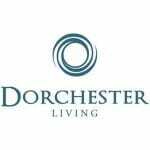 As a private company, the team at Dorchester takes a long-term view of the places they create, enabling them to create not just homes, but entire communities. We operate across all levels of the housing market and build quality homes for people at all stages of their lives, from first time buyers and growing families to downsizers. Dorchester Living homes cater to aspirational home owners who want something different to what they might get with a mainstream developer. The housebuilding arm of the group, Dorchester Living has been involved in the delivery of Heyford Park since its acquisition in 2009. Dorchester is one of the few private developers in the UK that is also registered as a social landlord.